This event has concluded. Presentations and video are available below. 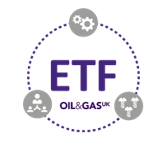 Oil & Gas UK’s Efficiency Task Force (ETF) in conjunction with Subsea UK and Scottish Enterprise hosted a free ETF Breakfast Roadshow specifically for the subsea community. The event explored and shared ways the subsea community can work together to improve the competitiveness of the UKCS. Delegates heard about the work of the ETF (specifically, case studies using good practice guidelines for subsea standardisation and simplification) as well as examples from ongoing subsea optimisation initiatives including , the Scottish Enterprise Subsea Action Plan and an update on the underwater initiatives being progressed under the sector deal proposal. Speakers included Phil Simons (Subsea 7), Dr Mariesha Jaffray (Oil & Gas UK), Neil Gordon (Subsea UK), David Rennie (Scottish Enterprise). Presentations a facilitated discussion around barriers and facilitators/challenges faced specifically by the subsea community.